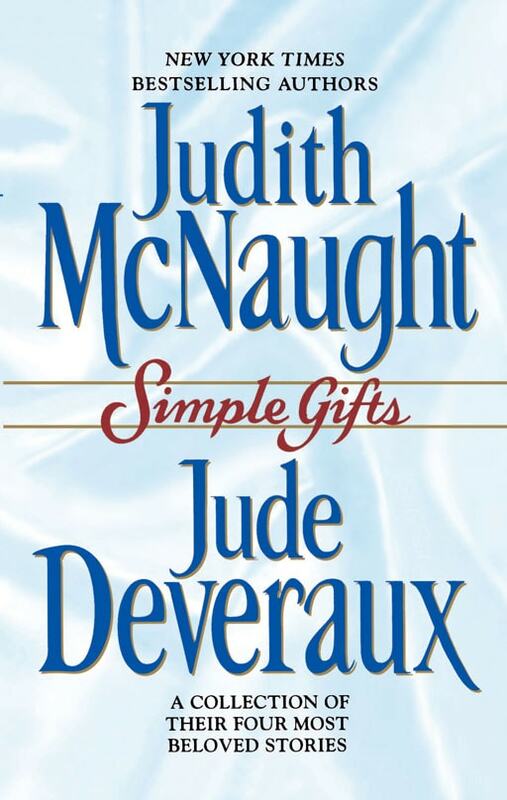 New York Times bestselling authors Jude Deveraux and Judith McNaught shine with love’s magic in this wonderful collection. Chosen from the acclaimed anthologies A Gift of Love and A Holiday Of Love, these are dazzling tales to treasure time and again, stories for all seasons and for every romantic at heart…. Jude Deveraux In the snow-covered hills of Virginia, a young widow finds that miracles really do come in the least expected packages, in “Just Curious,” praised as “one of Deveraux’s best” (Philadelphia Inquirer). “Change of Heart,” set in modern-day Colorado, is the touching story of a clever twelve-year-old who plays matchmaker for his bighearted, impractical mother. Judith McNaught This celebrated author magically portrays Regency London in “Miracles,” the enchanting tale of a world-weary lord—and an outrageous proposal. In “Double Exposure,” a determined young woman arrives to photograph a magnificent wedding at a reclusive tycoon’s Newport estate, and manages to unlock the secrets of a man’s heart.